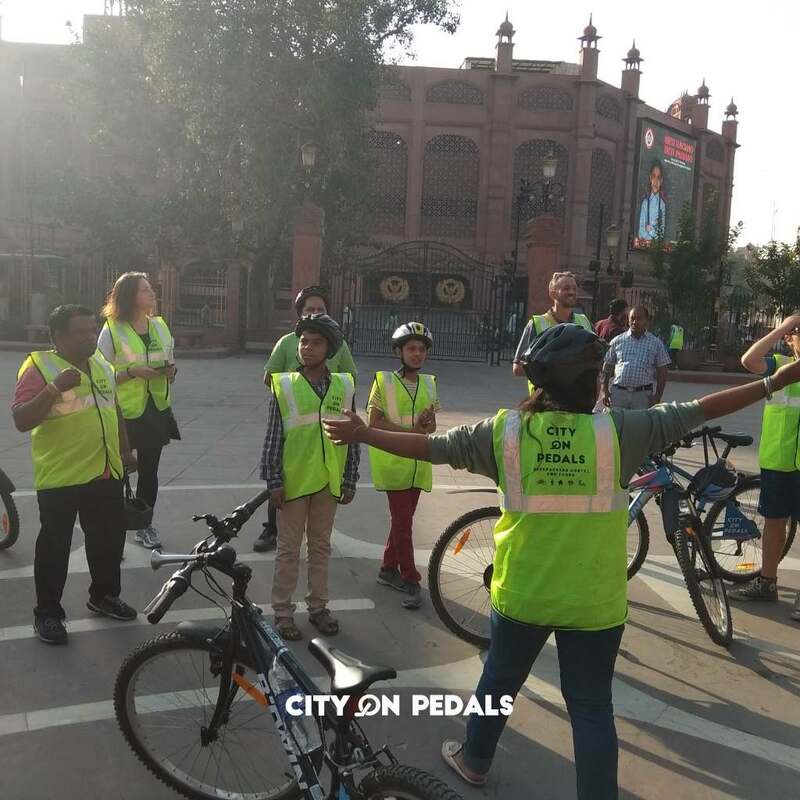 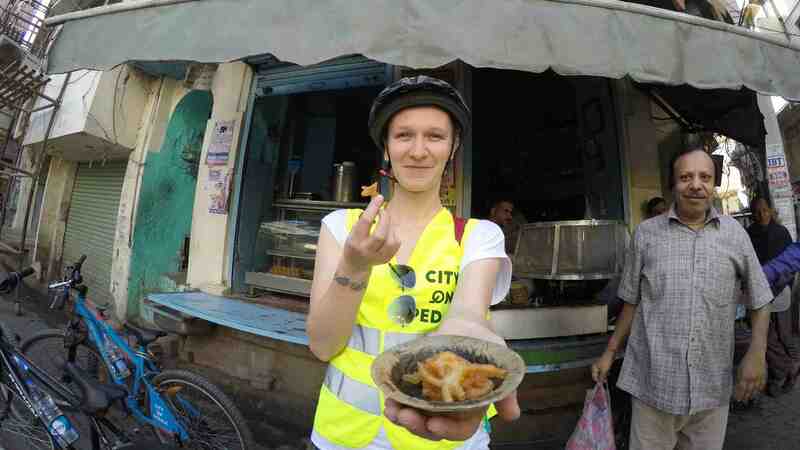 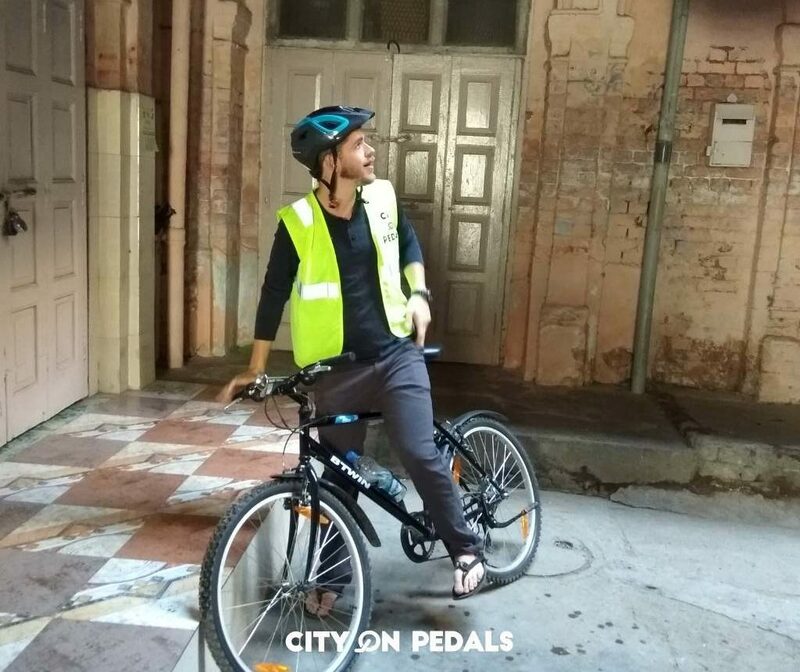 Our classic, easy-paced guided tour through an ancient palace, heritage streets, narrow bylanes and some of the oldest neighborhoods deep inside the walled city of Amritsar which are best explored on foot or our bicycles. Ride through the narrow winding streets with squares, buildings with domes and chattri that is indicative of the influence of Islamic architecture and Rajputana style. 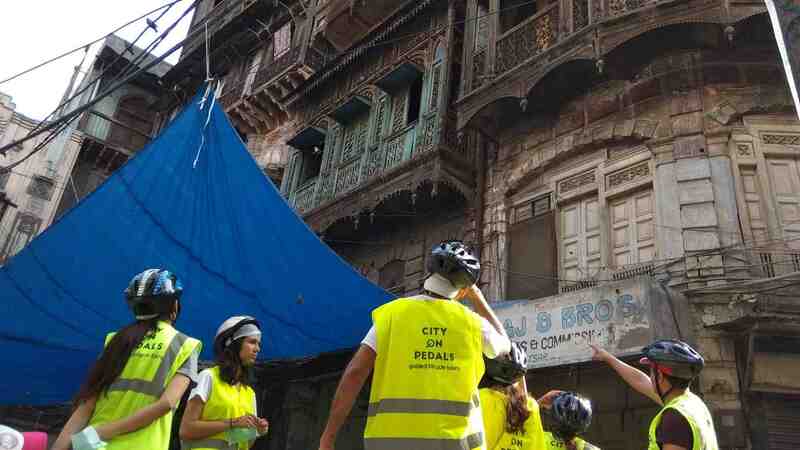 Explore some of the lesser known hidden gems of the city with old temples, akharas, and, arguably, the first ever Amritsar Shopping Mall before malls became cool. 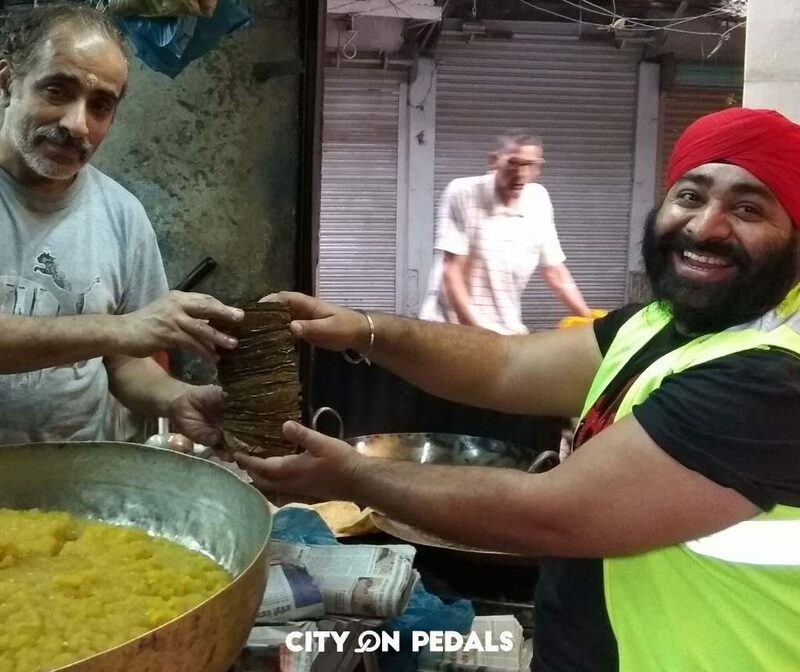 Taste & learn the traditional ways of preparing some of Amritsar’s most popular breakfast items, street food, and sweets. 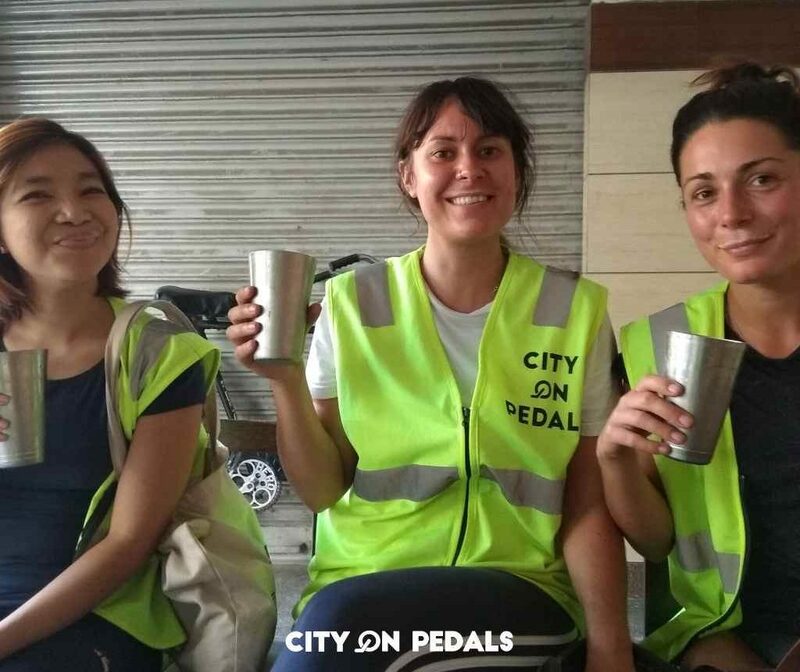 We will meet at the common assembly point at City On Pedals Backpackers Hostel in Rani Ka Bagh 10 min before the start time. 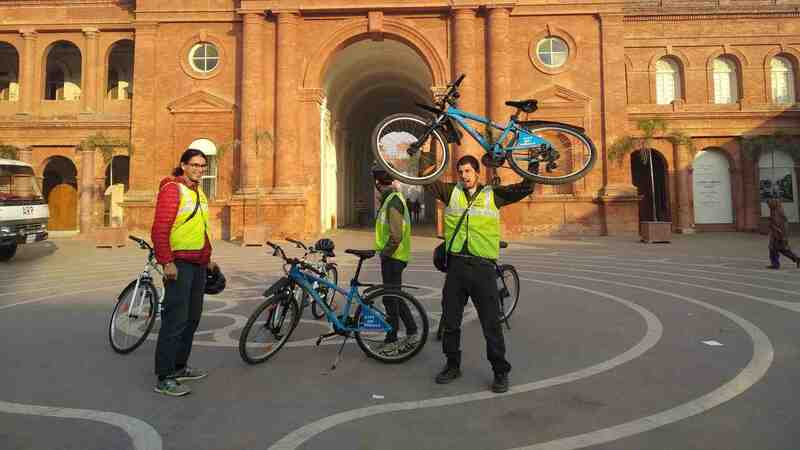 We will start our tour once all the guests have joined. 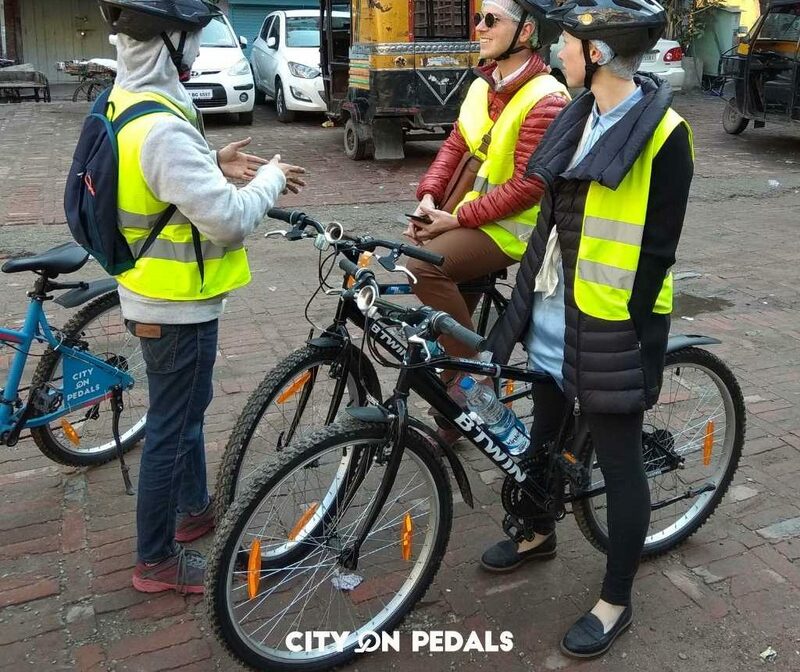 After basic instructions and introduction from our tour leader, we will start the bike ride and will go off to explore the city of Amritsar. 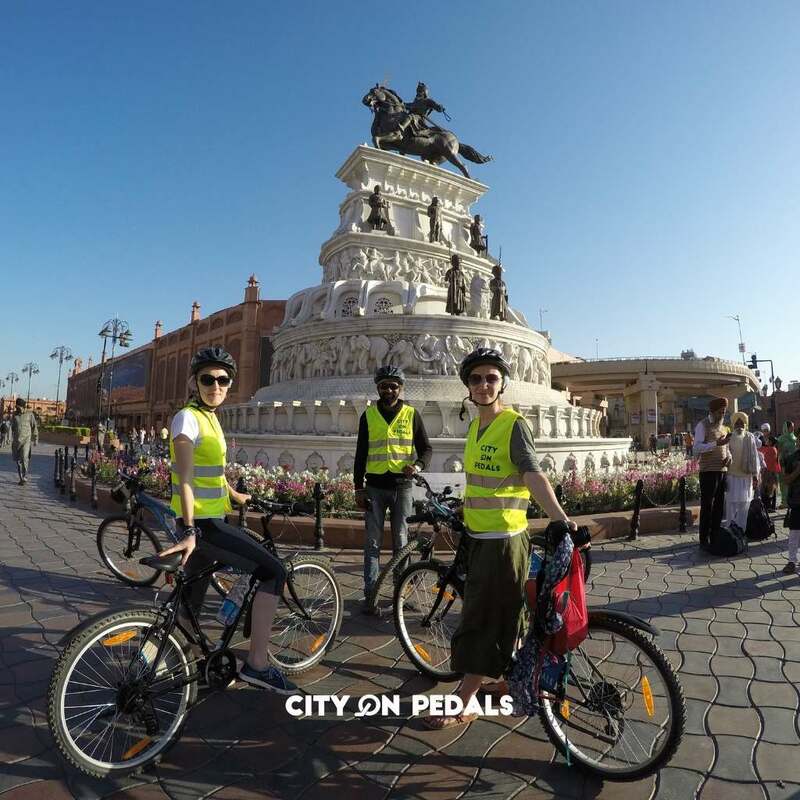 We will ride on the streets of Amritsar city and move towards the Summer Palace of Maharaja Ranjit Singh - built during his rule in Amritsar, Punjab and further will lead a direct path towards Golden Temple. 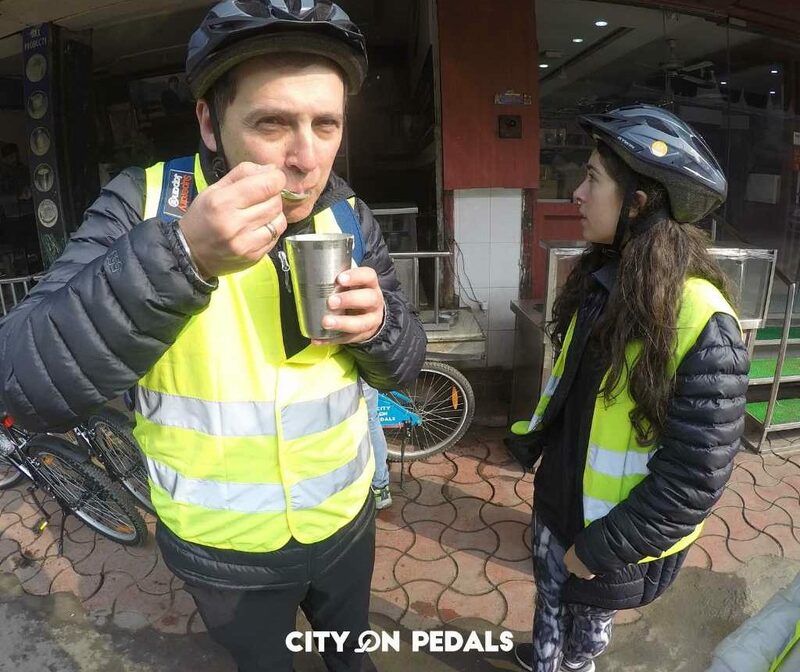 We will have our morning tea at the most famous and oldest shop, Giani Tea stall which serves the best tea in Amritsar since 1955. 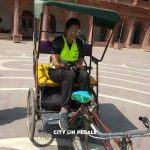 Riding forward towards the old city of Amritsar, we will visit one of the oldest mosque, Jama Masjid Khairrudin Mosque, which has great relevance in the history of independence in 1947. 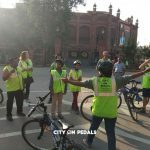 Moving on, we will look around the Town Hall building which was established by the British now called the Partition Museum since 2016. 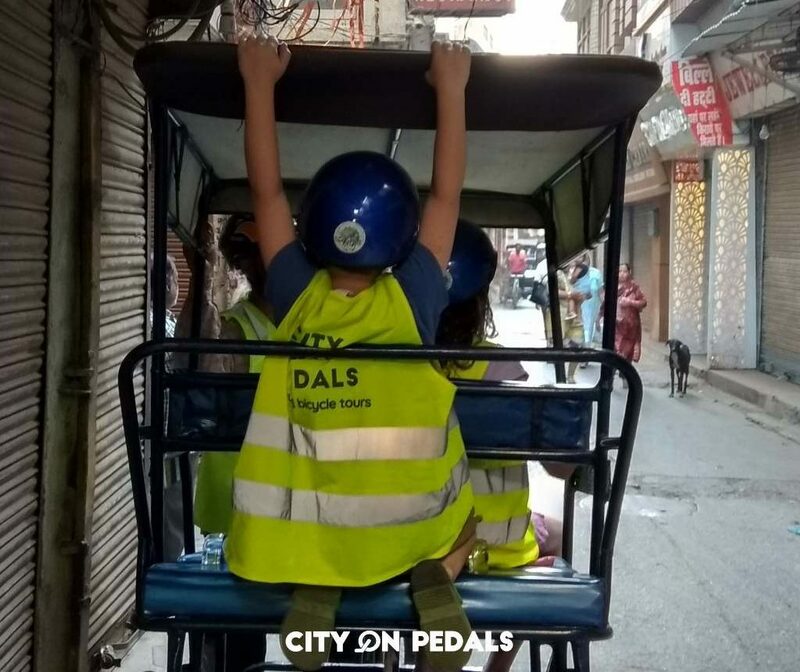 Following our path to the narrow lanes and by-lanes of the city, we will explore some of the hidden gems like Darshani Deori, which used to give the first glance of Golden Temple in older days from around 100m and will see the beautiful limestone paintings, and along with that we will witness an incredible banyan tree growing through 3 different buildings followed by some of the amazing Amritsari food and Desserts. Moving forward, we will visit the oldest Shiva Temple of Amritsar and will see the Mud Wrestling Arena, where a lot of known wrestlers used to practice in back days. 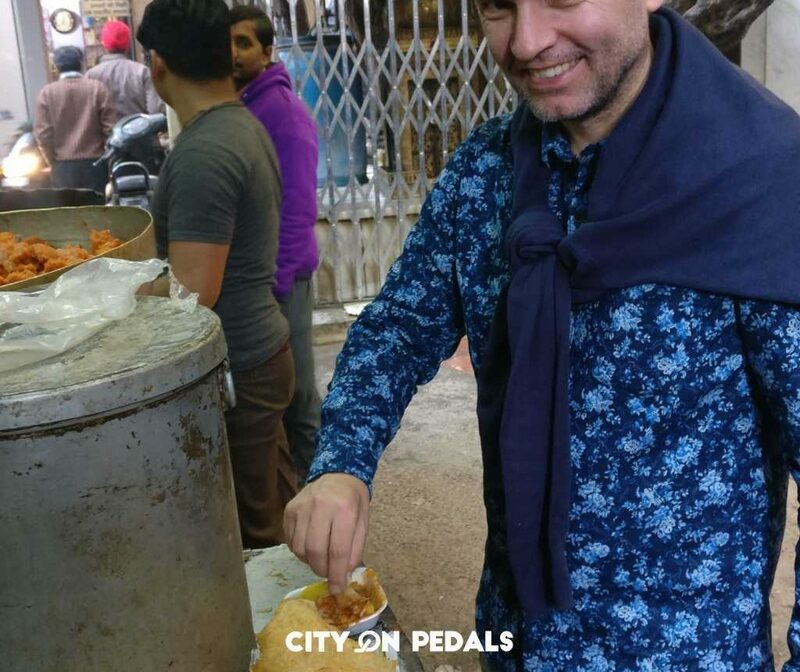 By that time, we will be served the traditional Amritsari breakfast, Kulcha with fillings of potatoes and other vegetables served with hot chickpeas and tamarind sauce(chutney). 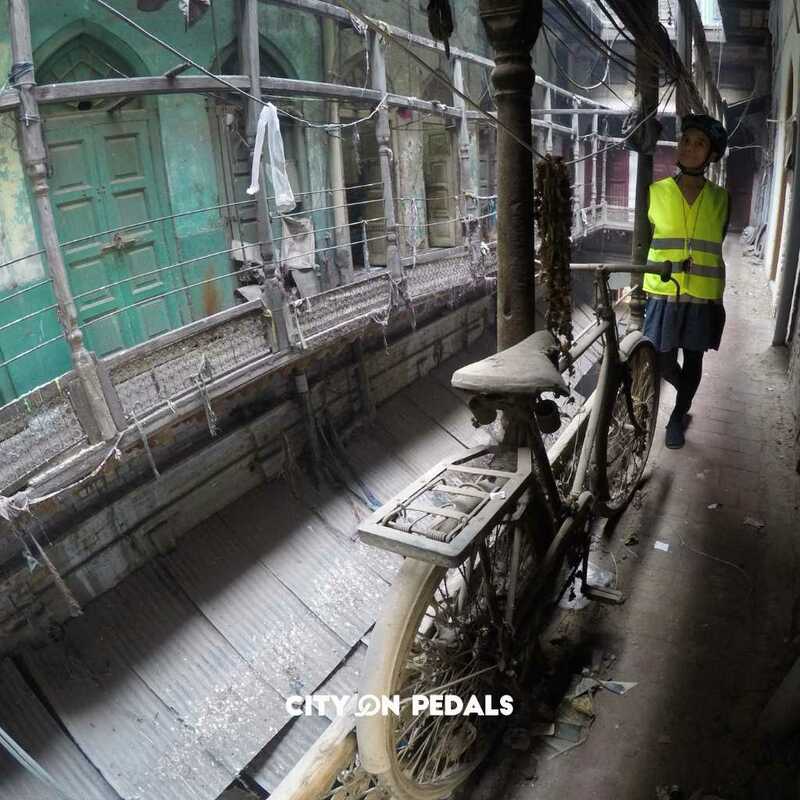 Riding through the main markets of Amritsar, we will see a lot of old houses and buildings constructed before the British times and will see a blend of the architecture of 3 different eras with old Jharokhas, wooden carvings, brick carvings, hand made paintings and other beautiful frameworks of past centuries. 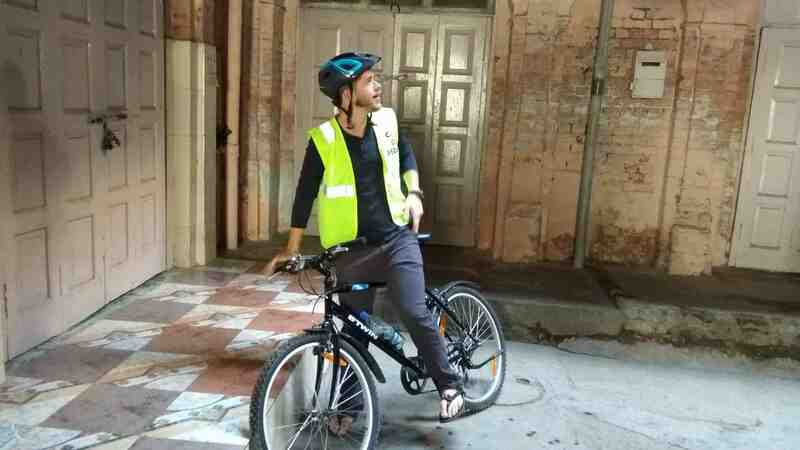 Along with that, we will enter the fort of one of the Kings of Amritsar, Jassa Singh Ahluwalia, where we will see the old market place, brass ceiling, huge wooden doors, old terrace with city view and a dried community well. 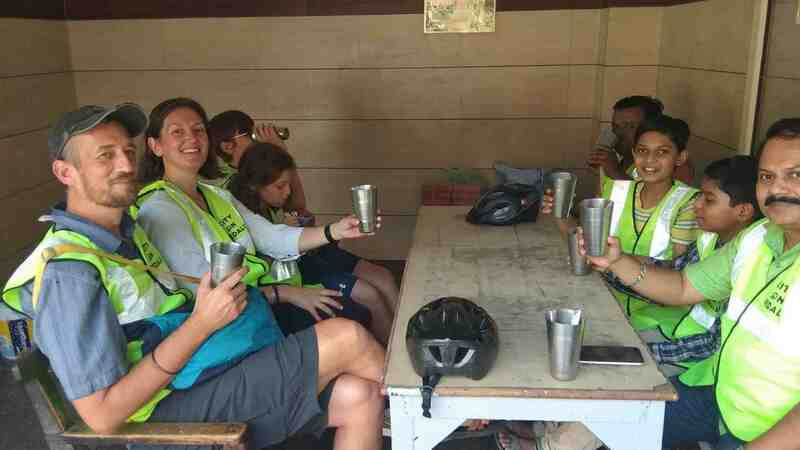 Before ending the tour, we will stop at a famous Lassi shop, Gian Di Lassi which is around 98 years old shop, giving the authentic taste of sugary yogurt shake. 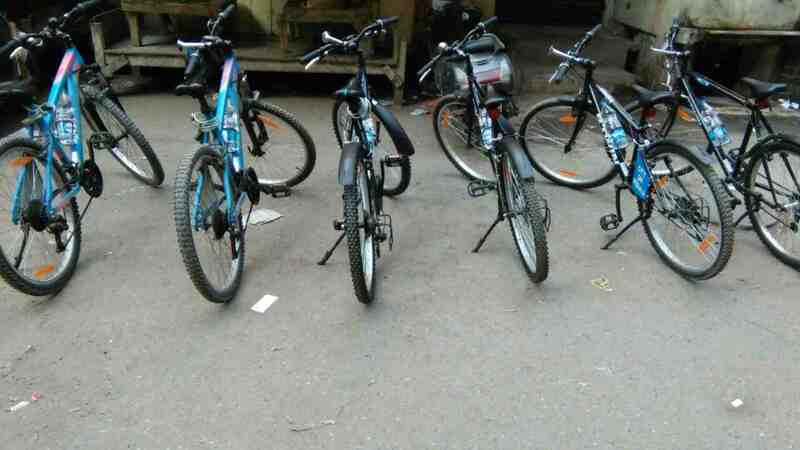 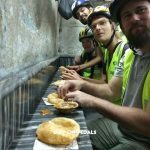 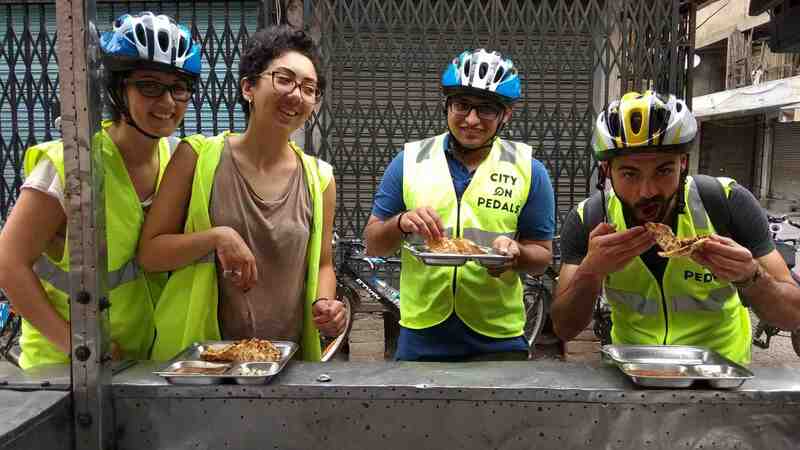 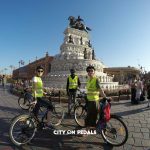 Finally, we will be riding back to the starting point, City On Pedals Backpackers Hostel, giving an end to this memorable journey on bicycles. 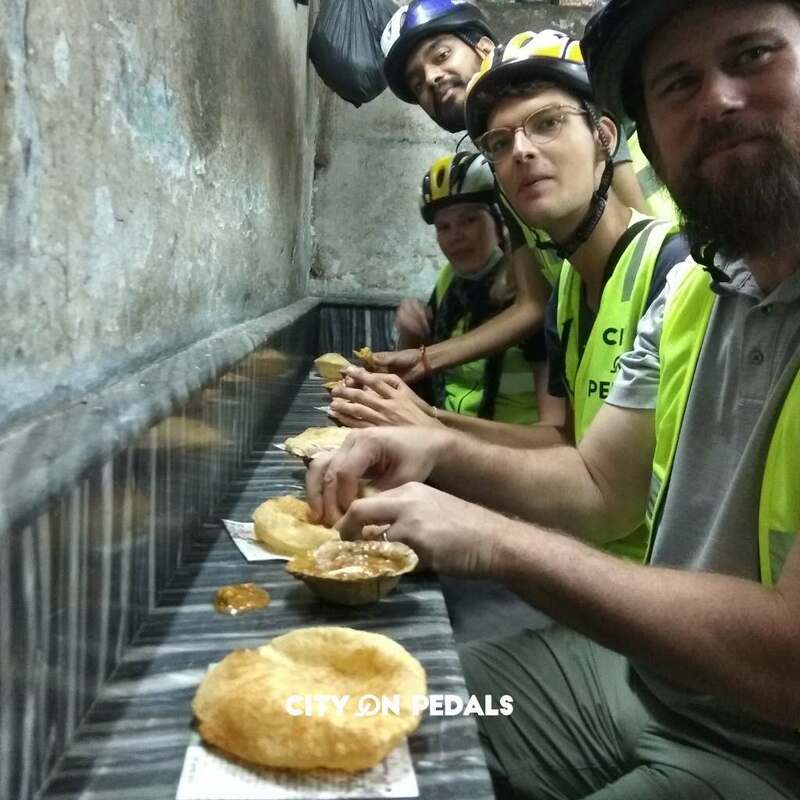 The Amritsar Heritage Bicycle Tour is designed to complement the Amritsar Golden Temple Walking Tour, which offers a deep insight into the Sikh religion and history. 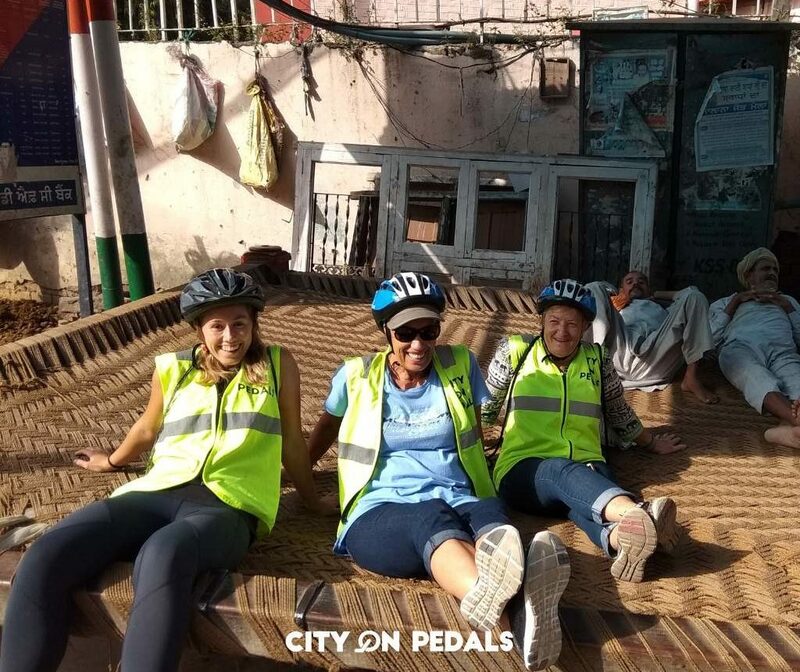 Together, both tours present a complete Amritsar experience while offering an exhilarating way to see this magical city. 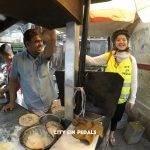 Private tour starting from ₹ 11200 / USD 180 for a group of up to 8 participants, inclusive of free hotel pickup and drop.